Det er mye interessant med titanium knivene som en knivmann burde se nærmere på. 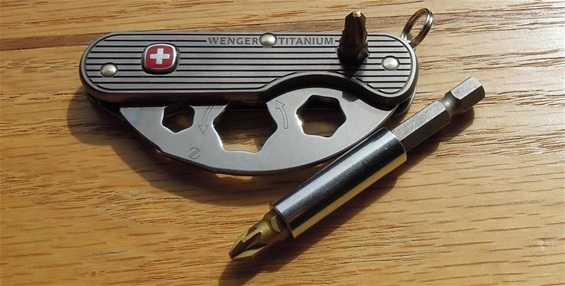 This is the Wenger Titanium 1 knife and it is only a one layer knife. I am very surprised on how well the handles are machined on all of them. I recommend taking a closer look. This one is marked on the box 10 2011 and it got the pouch with two bits in it. Wenger did climb a mountain with these knives and the use of a completely new construction gives them character. If you study the Wenger knives then you can see some of the special philosophy they have on knives and to use special functions in an innovative way. The use of locking mechanisms that prevents accidental closing is made in a way with engineering and joy. I have noticed around in the knife world talk about how interesting these knives are. I did not like them at first in 2011 but I see today a different picture and the feel in my hand. There are much in these knives that is interesting and they may be one of Wenger`s most high technology knives. I did weigh the Titanium 1 and without pouch and bits it is only 72 grams. This is lightweight for sure. I am very glad that Wenger incorporated the secondary stop for the blade and locking mechanism. This made it extra safe to use. The hex opening is very smart as well. Already on the New Rangers the use of the emblem to push and release the blade was done. This is also on the Titanium knives + you can slide the liner by hand. When you press down the emblem you can fold the blade into the body of the knife. The spring holds the blade in and out also. Finally a philosophy in the world that is correct! I also recommend taking a closer look at the edge part at the tip of the blade. So far it does not look like the Titanium category will continue after the merging. I hope they will continue or that the special model that was planned would find its way to people. I believe we collectors and enthusiast of both brands would enjoy this. I believe this titanium range got great possibilities and potential. I do wonder if there exist a model will all the functions, by this I mean the Ueli Steck Special Edition tool configuration + a wood saw? i am very much into multi-tools and the philosophy of having everything in one tool. 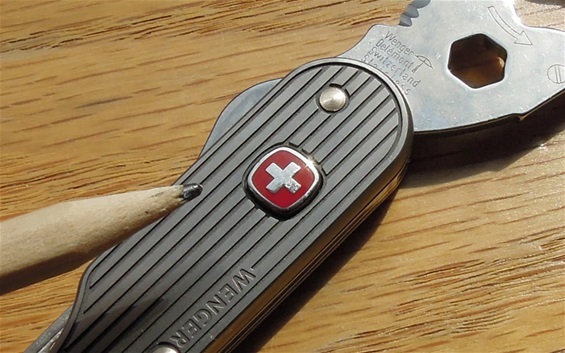 Sometimes it can be a very valuable combination with a separate plier and a versatile knife with functions. 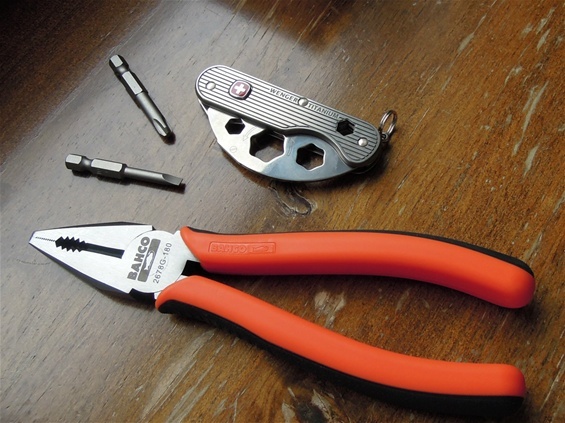 Or a multitool with a plier and a separate plier in combination. 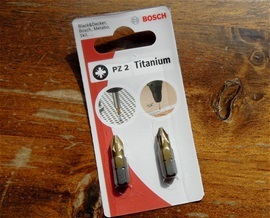 These are good bits and it is probably Titanium Nitride because of the color. I know from before that it is an advantage with such bits and the lifetime is usually longer. Here is a picture i took today for the interest. The Wenger Brand is without any doubt one of the most innovative Brands in the world.